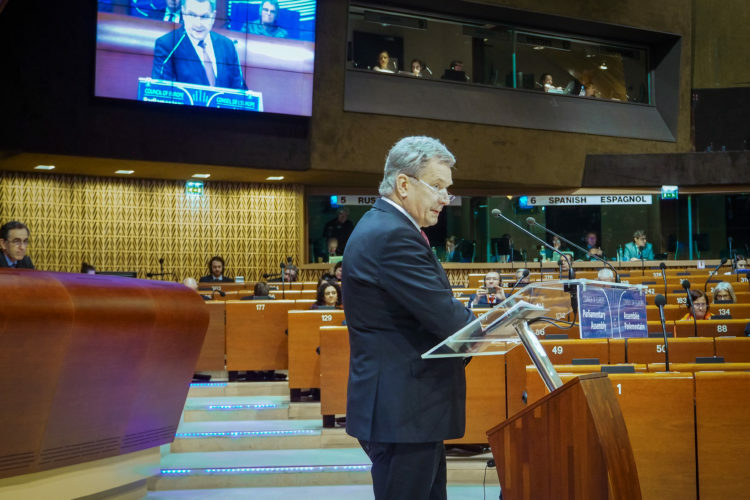 He went on to note that the entire rules-based international order finds itself under growing pressure. 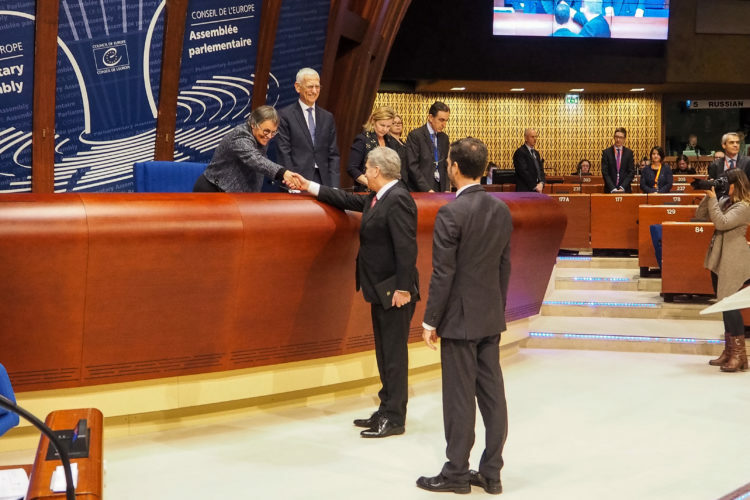 “The standards and provisions the order consists of, and the multilateral institutions that guard them, have profound implications on our daily lives. 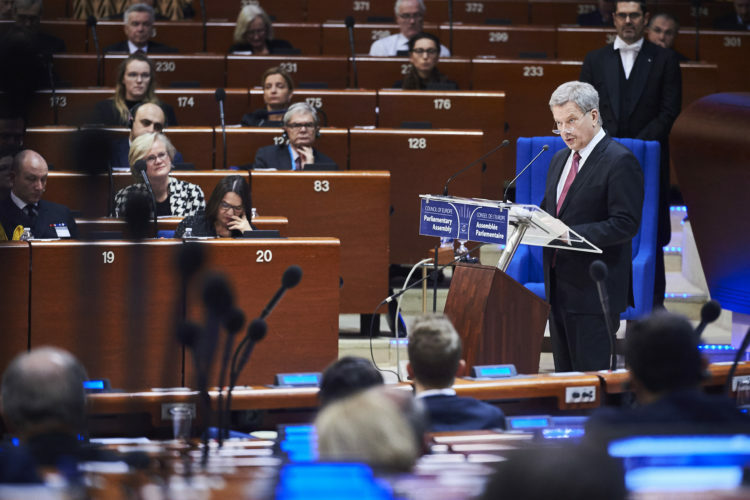 If they are weakened, ordinary people – individuals, all of us – will suffer,” he said. In his speech, President Niinistö also touched upon the organisational reforms currently being carried out at the Council, urging member states to take this as an opportunity to discuss the future vision and focus of the organization. 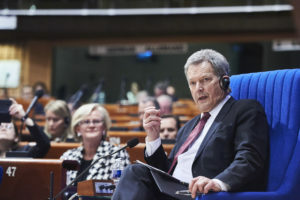 President Niinistö noted that the Council of Europe currently finds itself in a worrying political situation on account of Russia’s role within in the Council, membership fees and membership. 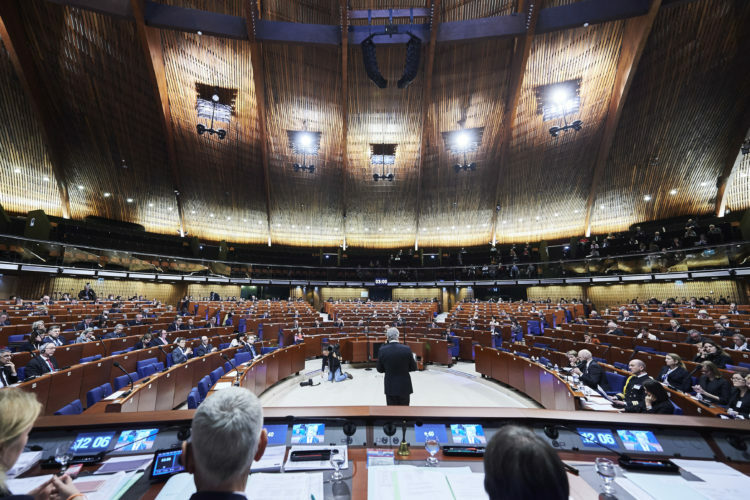 Russia is currently not participating in the work of the Parliamentary Assembly of the Council of Europe. 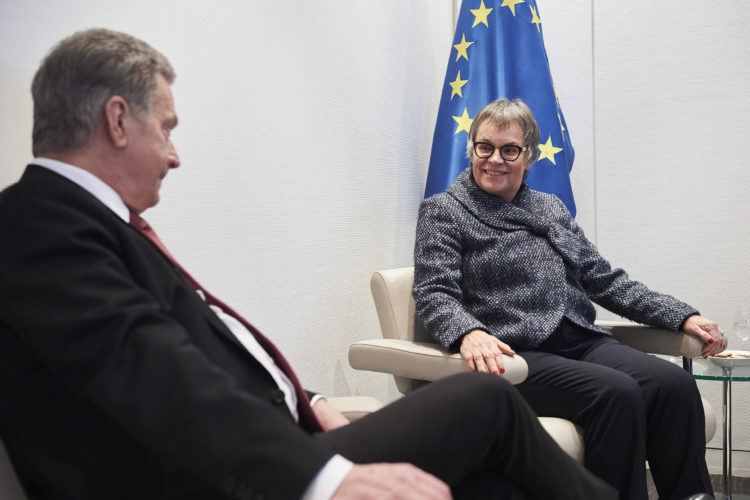 “Let me be clear: there are no doubts about the origin of this situation. 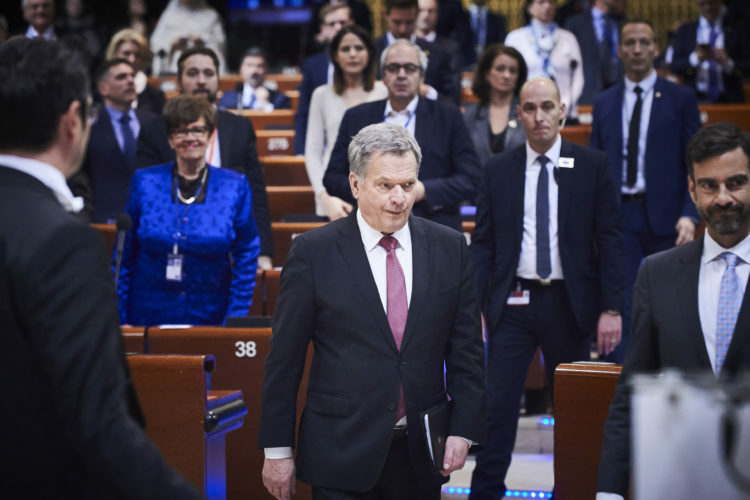 Finland was among the first countries to publicly condemn the annexation of Crimea. 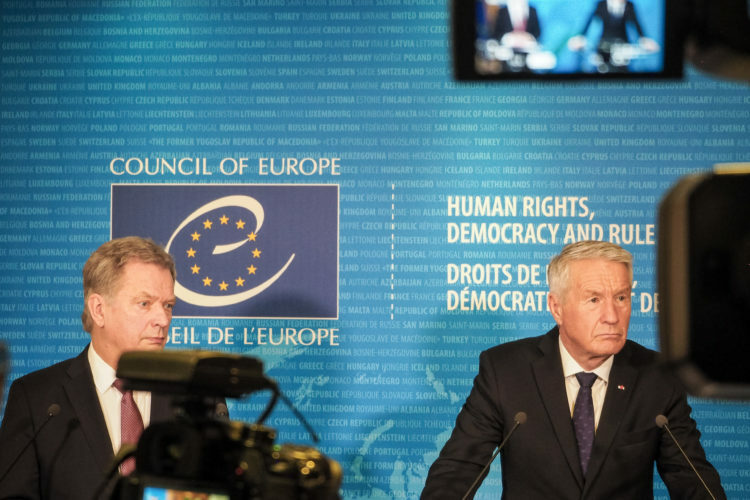 Nonetheless, Russia’s departure from the Council of Europe would be a loss for all sides. 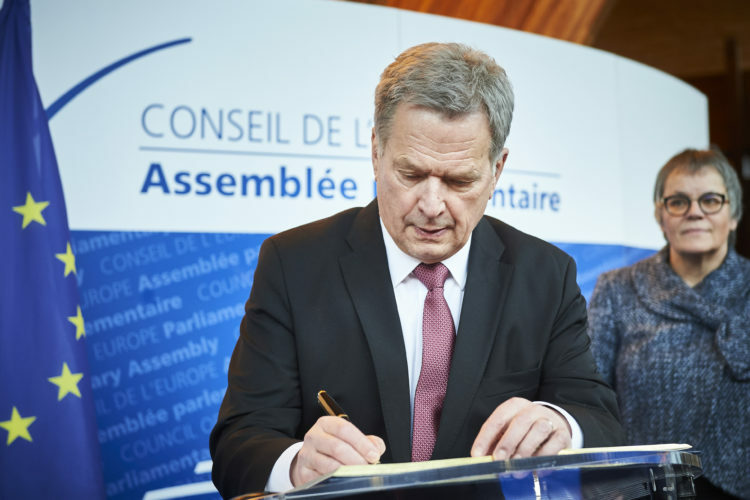 And ultimately, it would be yet another blow for the entire rules-based international order,” President Niinistö said, adding that he was confident the Council of Europe would find the way to solve this current crisis. 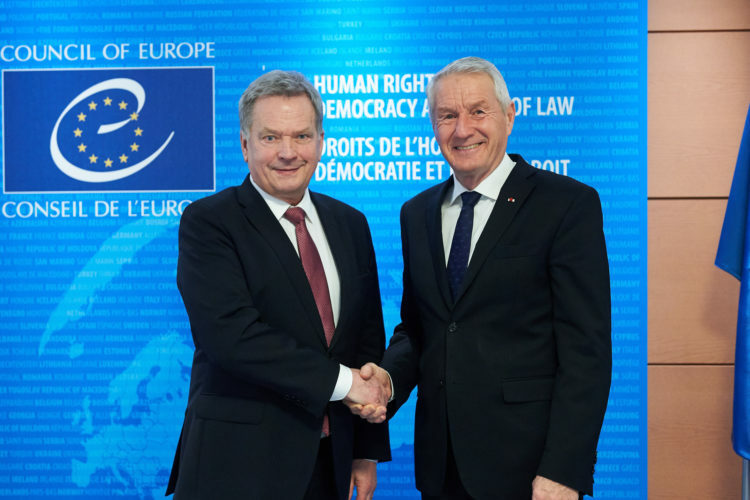 The issue of Russia’s participation in the work of the Council of Europe was also raised in President Niinistö’s meetings with Thorbjørn Jagland, Secretary General of the Council of Europe and Liliane Maury Pasquier, President of the Parliamentary Assembly of the Council of Europe. 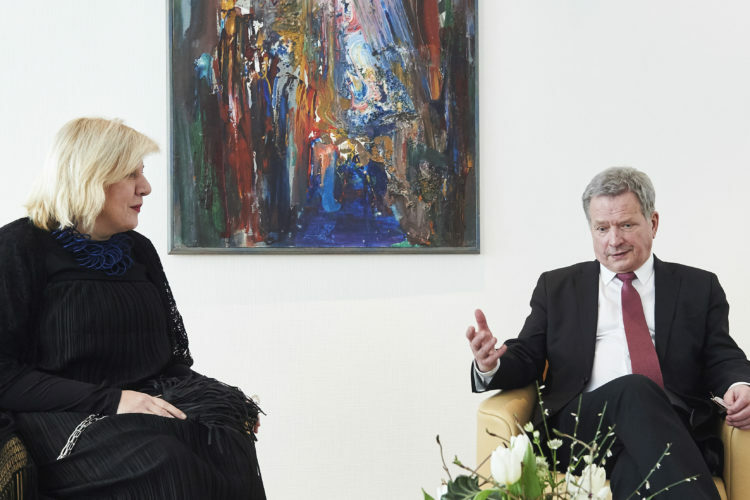 President Pasquier and President Niinistö’s discussions focused at length on the issue of equality. 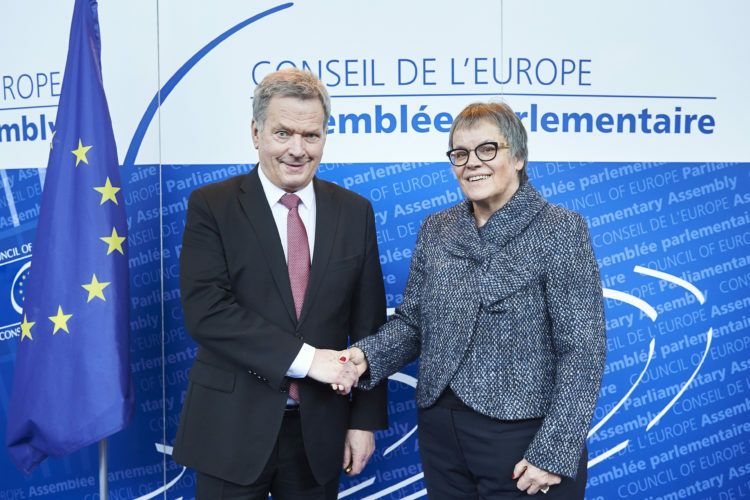 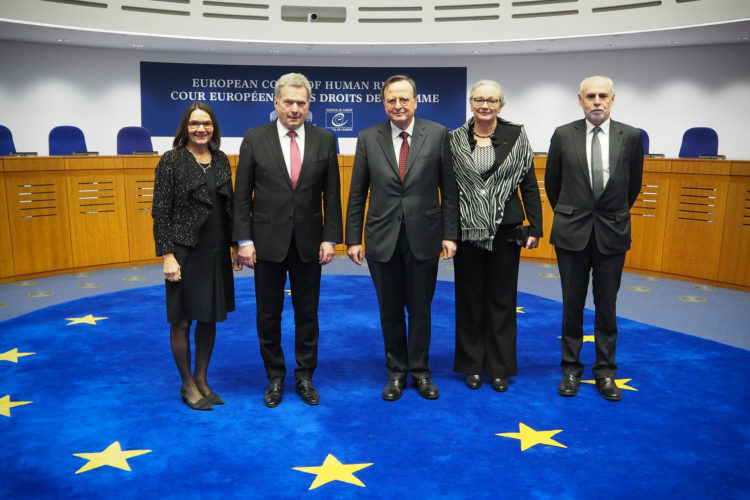 During his visit to Strasbourg, President Niinistö also met with Dunja Mijatović, Council of Europe Commissioner for Human Rights and Guido Raimondi, President of the European Court of Human Rights. 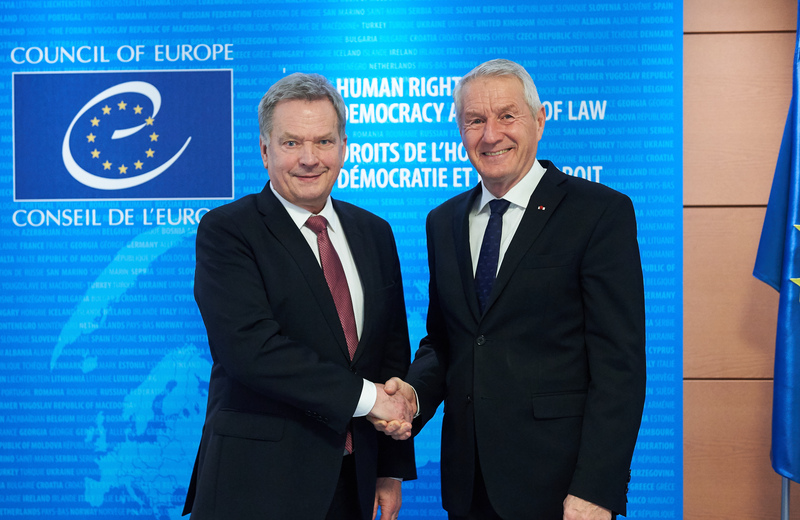 President Niinistö also attended a commemorative ceremony to mark Holocaust Remembrance Day and the opening of an exhibition celebrating the 60th anniversary of the European Court of Human Rights.